Many thanks for the invitation. I take it as a great idea to organize this conference. Peter Bauer deserves it. The whole today´s debate proves it. My task is, however, difficult. I hope you don´t expect from the last speaker to come with anything new and interesting. Everything has already been said. I can offer, perhaps, a slightly different perspective of a former politician and a former economist. I do not pretend to be an expert on Peter Bauer, I am not a specialist in the field of development economics either. I met Peter Bauer shortly twice or three times at international conferences, we just exchanged a few friendly words. One sixteen years old story, however, deserves to be mentioned. CATO Institute decided to start awarding the Milton Friedman Prize for Advancing Liberty. I was – together with Margaret Thatcher, Edward Crane, John Blundell, Rose Friedman and a few others – appointed to be a member of the International Selection Committee. I am glad to say that I didn´t hesitate one second and from the suggested list of candidates I immediately picked up Peter Bauer. Margaret Thatcher told me later that she did the same. That´s not the end of the story. I arrived to W.D.C. the night before the planned celebration and was told – and many others as well – that Peter Bauer died a few days ago. It was a very sad and strange moment for me and for all those who came there from all over the world. The prize was awarded but instead of listening to Peter Bauer´s speech we participated in an unplanned conversation with Milton Friedman. I have never worked in the field of development economies – on condition we don´t consider the relatively developed and highly industrialized centrally planned communist economies as the Czech Republic the developing countries. The economists in those countries were together with Peter Bauer convinced of the necessity of a fundamental systemic change, of the liberalization and deregulation of our economies, of the introduction of free markets, of unregulated prices and of proper incentives. We considered Peter Bauer our colleague in promoting such ideas. When we heard – decades ago – Peter Bauer´s powerful attack on foreign aid, we also fully agreed. We had very frustrating experience with helping some politically selected developing countries. We knew quite well that our problem was not the lack of money or of capital but our economic system. We understood how irrational the whole idea of foreign aid was. Our aprioristic criticism of foreign aid – organized by governments and by foreign aid lobbyists in international financial institutions – was absolute. We felt very strongly the hypocrisy of this endeavour. And we knew that no one in the world has criticized this hypocrisy so eloquently and efficiently as Peter Bauer. The fall of communism brought us additional convincing arguments. Our country was very lucky not to get any foreign aid in that crucial moment. We didn´t need it. We got a chance to follow an almost controlled laboratory experiment done with our neighbour country, with the GDR. The huge amounts of money which have been flowing for more than a quarter of the century into this country couldn´t compensate for the absence any transformation process there. We got another convincing experience in recent years – the EU inter-country financial transfers. It has been convincingly proved how unproductive, useless and dangerous the current EU foreign aid in reality is. It is almost irrelevant economically and it evidently contributes to the corruption atmosphere in today´s Europe. Foreign grants lead to the politicization of economic life which was one of well-known Peter Bauer´s arguments. Our post-communist transformation was based on the radical desubsidization of our economies and entering the EU we occurred in a heavily subsidized economy again. I dare claim that I understood and accepted Peter Bauer´s ideas from the very beginning. I have been always stressing that we need trade, not aid. He was convinced (and tried to prove it in his early academic works) that people in Malaysia and West Africa reacted to prices and incentives – however poor they were. He argued that they behaved as Homo Economicus, that they intuitively knew how to react to market incentives, that they didn´t need any education in this respect. That they especially don´t need as teachers any advisors, consultants, bureaucrats from international financial institutions with their built-in foreign aid mentality. We went through the same debate after the fall of communism. The anti-Peter Bauers of all colours were coming into our countries and were telling us that the people in communist countries don´t understand markets and that they would need not years, but decades to learn it. I disagreed. I was convinced that what the people in former communist countries needed was a systemic change, not any schooling done by the World Bank and any other experts. But this was exactly what the people in these institutions wanted to do. I have to admit that it was quite understandable. They also reacted to incentives. They wanted to maximize their own income, not the “Wealth of Nations” such as Hungary or Czechoslovakia. We were, of course, very happy to live with open borders after decades of the existence of the Iron Curtain but I remember that at one moment I threatened to start issuing entry visas for one special group of visitors, for foreign advisors and investment bankers. It was impossible to entertain all of them. At the beginning we – wrongly – believed in a positive and productive mission of some of these institutions. My first letter abroad, which I sent as a Minister of Finance in January 1990, asked the IMF and the World Bank to allow us to reenter these two institutions. We succeeded in this effort very rapidly but these institutions were not very helpful – we didn´t ask for the IMF loans (with the exception of a small stand-by loan at the very beginning) and we were not able to find projects to by financed by the World Bank. (I remember making a small scandal in W.D.C. when I refused to take the technical assistance loan from the World Bank. My comment that “I am not ready to pay hard money for soft advice” Milton Friedman dubbed as the “Klaus´s Law”). We can say that the developments after the fall of communism in our part of the world also confirmed Peter Bauer´s views. He was a very sophisticated person but his economic theory was relatively very simple. He regarded himself primarily as an applied economist which is something I share – I accept that my position in the science of economics is on the demand side, not on the supply side. His economics was based on relatively few basic and powerful principles. It was sufficient. He didn´t need sophisticated mathematical and econometric models for describing the economic reality and for giving useful economic recommendations. He believed in the market economy – those who want to play the markets or to replace the markets needed sophisticated models (mostly to hide their ignorance). He only wanted to apply the elementary economic principles to problems in the real world. He couldn´t get the Nobel prize with this approach but he could get the Milton Friedman award. I recommend to everyone to reread his 1987 CATO Journal article The Disregard of Reality. James Buchanan correctly called Peter Bauer “a laissez-faire optimist” – which is an almost endangered species these days. His views are as relevant now as they were 70 years ago. His criticism of central planning (nick-named regulation today), of protectionism and of foreign aid is much needed again. His belief in liberty and markets as well. It is probably much worse now in the Brave New World of political correctness, of human-rightism, of the belief in information technology, of the EU, etc. than it used to be in the past. 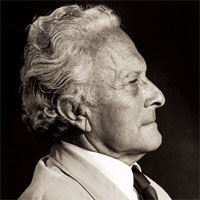 In his “Economic Analysis and Policy in Underdeveloped Countries” (published in 1957) he explained that: “My position is much influenced by my dislike of policies or measures which are likely to increase man´s power over man, that is, to increase the control of groups or individuals over their fellow men”. This is – for me – a formulation in the tradition of the great classical liberals. We don´t see them among us these days. I was immensely impressed by the arguments he used when rejecting the fashionable concept of “a vicious circle of poverty”. His well-known words “to have money is the result of economic achievement, not its precondition…If the notion of the vicious circle of poverty were valid, mankind would still be living in the Old Stone Age”  should be repeated again and again. 70 years ago he famously coined the phrase that “capital is created in the process of development rather than that development is the function of capital” (p. 119). We should – in the dangerous era of Thomas Picketty – mention his distinguishing between “inequality” and “differences”. For Peter Bauer the latter term is better because “it is more analytical and less emotive”. We should also mention his pointing out the importance of trade for economic development. I like his stressing “the need to restate the obvious”, his criticism of the exhibitionist guilt felt in the Western world, his emphasizing of the importance of noneconomic variables, etc. He was a great economist. Deepak Lal correctly speaks about his “intellectual robustness”. We were very much enriched by his ideas. Václav Klaus, Conference P. T. Bauer: A Hungarian In Cambridge, Danube Institute, Hungarian National Bank, Budapest, March 27, 2018. Published in Hungarian Review, Volume IX, No. 3, Danube Institute, Budapest, May 2018. See my speech „Komparative Analyse der Transformation im Multavialand und Albisland“, Technische Universität Dresden, February 23, 2007, www.klaus.cz/clanky/15. We belonged among the founding fathers of both of them in Bretton-Woods in 1944. I like his famous point about “the parable of Emperor´s New Clothes”. He said: “Here these are new clothes, but all to often there is no Emperor within”. Buchanan, J., The Market, Yes; Demos, No, CATO Journal, 2005. Bauer, P., Economic Analysis and Policy in Underdeveloped Countries, Durham, N. C., Duke University Press, 1957. Bauer, P., From Subsistence to Exchange, Princeton, N. J., Princeton University Press, 2000. Lal, D., Forward in “Peter Bauer and the Economics of Prosperity”, Academic Foundation, New Delhi, 2009.